You can be proud of yourself – unlike some people who remain oblivious to the importance of effective insulation, you've actually had your attic properly and professionally insulated a couple of years back. Or was it a bit more than a couple of years? 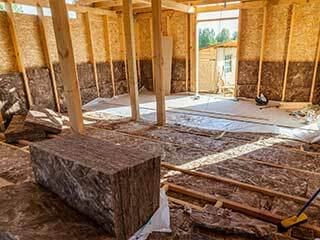 You can't overstress the importance of insulation throughout the house, and especially in the attic. This topmost space which is the most exposed to the outside serves as a passageway to the damaging effects of the outside surroundings and enables them to get to the rest of your house. Problems that start in the attic seldom remain there. They more likely evolve when left unattended and soon enough plague the rest of the house. For example, a short visit at the U.S. Department of Energy's website will tell you that in the average home in America, about 50%-70% of energy consumption is dedicated to heating and cooling. That's a lot. If one wishes to better control those expenses, the attic's insulation might be a surprising place to begin, but an important one nonetheless. In most cases, people remember they've had insulation put in, but can't remember when. The problem is that over time, like everything else, these materials wear out and become less effective to the point where they need to be replaced. But replacing them cannot be regarded lightheadedly – it must be done by trained professionals. When you call our professional team, they will first clear the area of anything that might get in the way. Then they will proceed to removing every last trace of your old insulation, including used materials, glue traces, accumulated dirt, and the like, relying on professional equipment and potent detergents and cleaning aids. Once everything has been completely removed they will dispose of it safely, leaving the area ready for the new installation and later, for your use. If this article has jogged your memory and you'd like to have your old insulation removed and replaced, now is the time to contact us at Attic Cleaning Irvine – we can help!